While meeting Stage 1 requirements of the Meaningful Use NPRM is a daunting challenge to most, a few are just about there. One such institution is University of Wisconsin Hospitals and Clinics, a HIMSS Analytics Stage 7 facility. And though VP and CIO Mike Sauk has just a few odds and ends to deal with, as far as the two dozen measures are concerned, he certainly is sympathetic with the plight of others as they try to garner HITECH incentive monies. To learn more about his journey at Wisconsin Hospitals, and get some advice for others, healthsystemCIO.com editor Anthony Guerra recently caught up with Sauk. Hopefully, the federal government doesn’t think just by creating rules that every hospital will be able to just step up to the plate and meet them, because installing an EMR and all of its functionality is a multi-year project, not a 12-month solution. Having just finished a four-year journey to get to where we are, if you have to jam what we’ve done into a year, you would probably have patient safety issues; certainly financial issues. You can’t really effectively interface a foreign pharmacy system to an EMR, there’s a whole history of people trying to do that and it fails. GUERRA: What are your thoughts about the Meaningful Use NPRM? SAUK: Well, we’ve reviewed the latest version, and if I wasn’t where I am sitting as CIO of UW Hospital I would be concerned, but we were just awarded HIMSS Analytics Stage 7, and we’re in a good place. There’s maybe three or four items out of 23 or 24 that are currently being worked on here. We can definitely get those done by July. Now, if I was sitting in a hospital that was at another state of install or hadn’t chosen a vendor, I’d be nervous, very, very nervous. But we just happen to be in a good place because we worked hard and got to the point that we are. So, for right now, send us some money. GUERRA: I see your point. It just makes me think that when you’re setting a bar for the country, doesn’t it have to be at a lower place than it is right now? SAUK: I think there’s probably going to be some sort of compromise on the 2011 requirements because I know a lot of hospitals would not meet, or could not meet, those and would fail to meet the bar. I don’t think that’s the idea of the whole process. Hopefully, the federal government doesn’t think just by creating rules that every hospital will be able to just step up to the plate and meet them, because installing an EMR and all of its functionality is a multi-year project, not a 12-month solution. GUERRA: So in your opinion, in terms of looking at the country, you think the bar should be lowered? SAUK: Oh, absolutely. I mean I can’t imagine that the objective is to make 60 percent of the hospitals fail to meet those expectations. To me, the whole idea of meaningful use is good, but you can’t move the whole country and turn that big ship in 12 months. I mean it’s not going to happen, and I don’t think it’s fair to hospitals or small practices or smaller hospitals to be held up to such a platinum status and not give them an opportunity to get there. GUERRA: If the bar isn’t lowered, what will happen? SAUK: Having just finished a four-year journey to get to where we are, if you have to jam what we’ve done into a year, you would probably have patient safety issues; certainly financial issues. I don’t think the solution is that everyone tries to just jam in whatever they can in order to begin giving that incentive money because it’s going to cost way more to put it in on an accelerated standpoint than you will ever get back in any kind of Meaningful Use incentive. So I would be concerned that if the bar is kept as high as it currently is, over the next 12 months significant numbers of hospitals and physician practices will not meet that bar and/or, as you suggested, will attempt to meet it and do a poor job of installation, and ultimately the public suffers. GUERRA: How long have you been in your position? SAUK: I came to UW Hospital in March 2006, and so I’ve been here four years next month. GUERRA: What would you say was the state of IT when you arrived? SAUK: When I came to UW Hospital, it had probably one of the best clinical data repositories in the country and it was our version of the Siemens LCR and we called it WISCR (Wisconsin Clinical Repository). From the standpoint of having a database of clinical results, it was an excellent system. The doctors liked it a lot and they grew to like it even more when they thought it was going to go away. But what we didn’t have here was the clinical or provider order entry. Nurses didn’t have the ability to document online or have their patients taken care of via an agreed-to care plan. So the hospital had tried to interface Siemens to the McKesson pharmacy system and that failed miserably. You can’t really effectively interface a foreign pharmacy system to an EMR, there’s a whole history of people trying to do that and it fails. 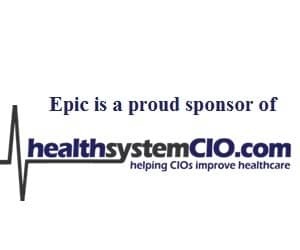 So our physician group, UW Foundation, had already made the decision to install Epic for their EMR in their physician practice system. We share the same patients, so we really didn’t go through a full RFP process because it was sort of a done deal that Epic was in effect in-house and so putting us on the same EMR made a whole bunch of sense. Having the pharmacy system on Epic and the order entry system on Epic and an integrated database just made so much common sense, so it was a quick decision. GUERRA: So we’re talking about continuous focus on this area for how long, 10 years, more? SAUK: Well, it’s been four years since I’ve come in on the Epic project, but the Siemens relationship existed for 25 years, and the UW Hospital is really a showplace, a showroom for a lot of the new development that Siemens was doing. What made the change in systems necessary was the inability to effectively integrate and interface the standalone pharmacy system to Siemens. That was the first decision I helped the hospital make because it just wasn’t going to happen. GUERRA: What are your thoughts on the administrative burden that will be placed on providers if the NPRM is left as is? SAUK: Eighty three to 85 percent of all of our orders are entered by providers, and the reason I know that is ultimately, all orders have to be entered electronically. There is no such thing as a paper order here. I mean, somebody’s going to enter that order electronically because we don’t have manual ways of processing orders. All the ancillary departments are expecting electronic orders regardless of who enters them. Now obviously, 83 to 85 percent of our orders being done electronically is a little easier for us because we are an academic medical center. We do have residents who are placing many of those orders, and they’re coming in very computer literate and almost expecting that everything is going to be electronic. So as far as figuring out the accuracy of what we are processing electronically, we certainly far exceed the 10 percent being required in Stage1.